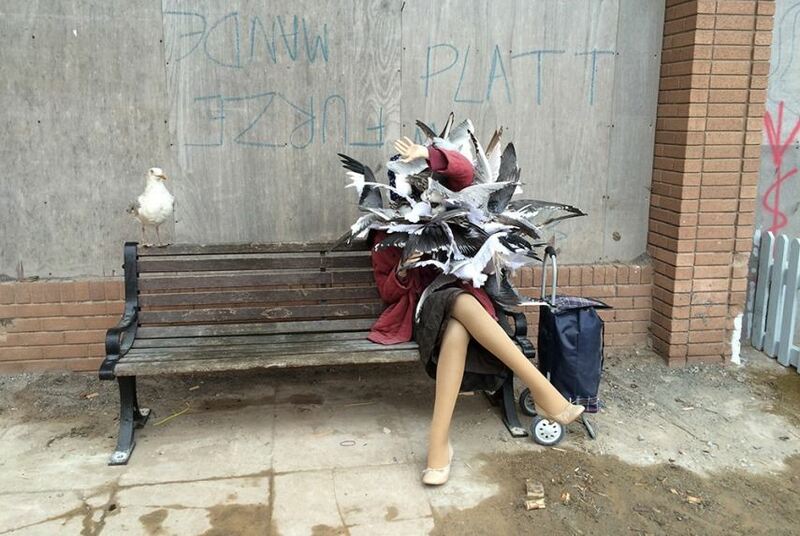 A Private Tour for Brad Pitt in Dismaland ? Well, there is no business like show business, and there are no celebrities without Hollywood celebrities. One of the biggest Hollywood celebrities, for some decades now, is the famous actor Brad Pitt. 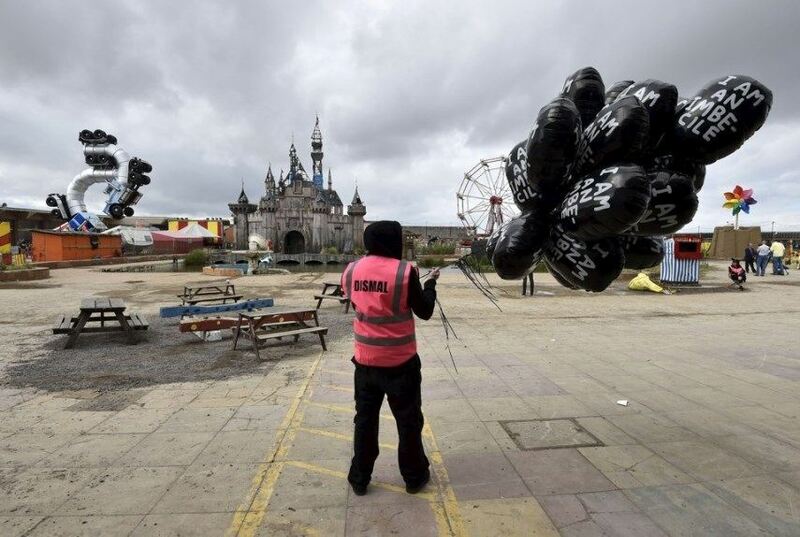 Also, the event that almost everyone is talking about for the last 10 days or so, is Dismaland. And, as information goes, this famous Hollywood celebrity and this famous event should finally connect with each other. 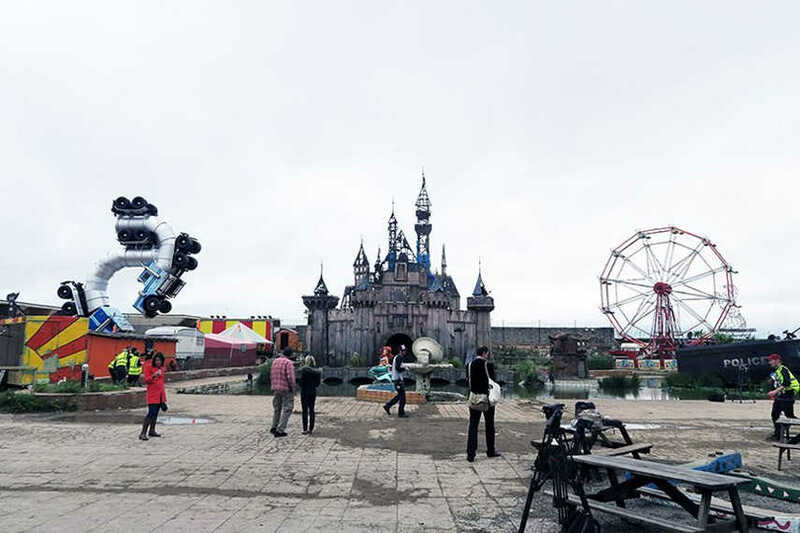 In other words, Brad Pitt is coming to Dismaland, according to The Mirror. But, since this is not just some ordinary theme park – in other words, it is not the Disneyland – this visit of a celebrity also will not be ordinary. According to The Mirror, a private viewing was offered to Brad Pitt, although, not for the reasons that would first come to mind, e.g. “he’s a celebrity, he don’t won’t to mix with the ordinary people, he’s too good for a regular visit”. No, the essence of the park is dictating everything, even Brad Pitt’s alleged visit: “Brad would bring a bit too much glamour to what’s meant to be a thoroughly depressing visit, so the British artist granted him special permission to visit before it opens”, said a source to The Mirror. 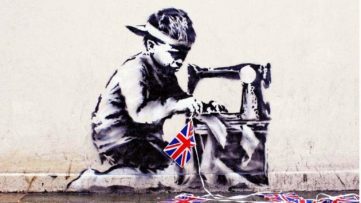 This source also told The Mirror that Brad Pitt has followed Banksy’s work for years, that he “really loves his (Banksy’s, R.M.) ideology”, and that Angelina Jolie and the kids won’t come. 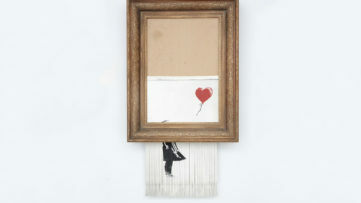 Brad Pitt is actually a really big fan of the great street artist, and there should be no doubt about that. Back in 2007, Brad Pitt and Angelina Jolie have bought artist’s work for one million British pounds. 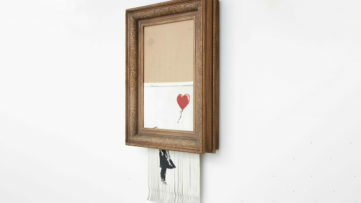 One year before that, the famous Hollywood couple paid 200,000 British pounds for another work by this artist. Also, the story has been circulated for several years now, that the famous artist has painted a mural that commemorated Hurricane Katrina at actors’ French chateau. Recently, our own Anika D. had written an excellent feature on what this park really represents: sadness and sorrow for the state of our society at this moment. Yes, there were complaints by the visitors of theme park, that it is “boring”, and not what they’ve expected from it. Well, duh, as Homer Simpson would have said – it supposed to be that, as there are no reasons for fake, glamorous, expensive theme parks, with their phony happiness and joy. Everything they want from visitors is money, in exchange for some simulated joy. “Theme parks should have bigger themes”, as the artist has stated. But then again, not everyone is capable of changing the world, or even of trying to change the world into a better place. Most of the people just don’t care, some are trying, and other are making profits out of the situation. Following the same line, have you ever thought why celebrities are celebrities? Well, people from media create them – them, and all the fuss about them – for one single reason, and that is again money. In today’s digitized world, that money is being translated from clicks. So, the “clickability” is on top of priorities nowadays. Why do you think we have put Brad Pitt, that beautiful, celebrated man, to be the feature image of this article? All images for illustrational purposes only.